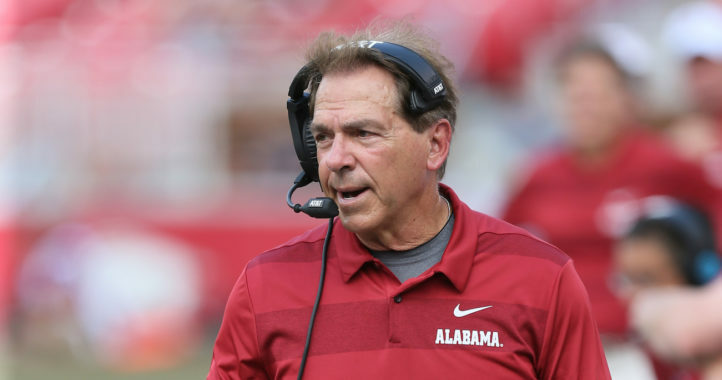 TUSCALOOSA, Ala. — Throughout spring practice, Alabama coach Nick Saban has spoken about the Crimson Tide getting back to the Bama way. What exactly does that mean, you ask? It’s probably along the lines of “making their asses quit,” one of Saban’s early mantras in Tuscaloosa. Saban wants Alabama to return to the days of when opponents were defeated before they took the field. That starts with a physical running game and a vaunted defense. Alabama still has record-breaking quarterback Tua Tagovailoa and all four of its top receivers back in Jerry Jeudy, DeVonta Smith, Henry Ruggs III and Jaylen Waddle. But under (somewhat) new offensive coordinator Steve Sarkisian, could we see Alabama get back to a more power-run game based offensive attack that lets the passing game build off play-action? Here we’ll take a look at what can be expected of Alabama’s top two running backs: juniors Najee Harris and Brian Robinson. 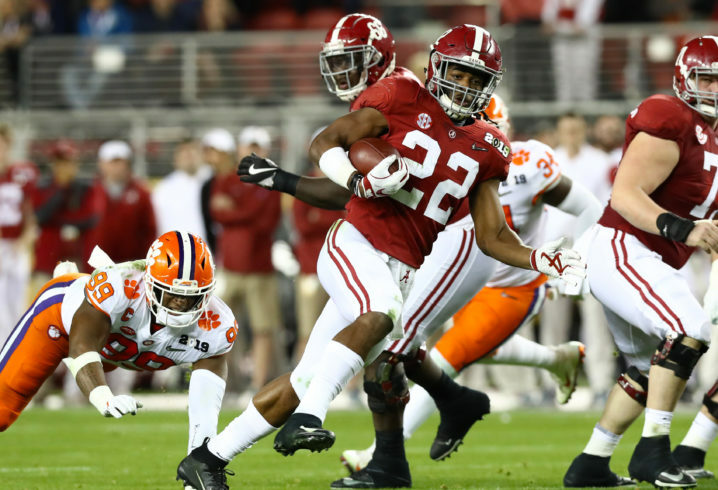 After two years of waiting behind the likes of Bo Scarbrough, Damien Harris and Josh Jacobs, the time has finally come for Najee Harris to be Alabama’s RB1. From a pure talent standpoint, Harris has what it takes to be the best of Saban’s tenure at Alabama. He’s big (6-2, 227) and physical. He can run through, around and past defenders. He’s strong enough to stiff arm and athletic enough to hurdle a tackler. He can catch the ball out of the backfield. Harris has it all. He ran for 783 yards last season and 4 TDs last year, averaging a team-best 6.7 yards per touch. His career average is 6.5 yards per carry. If Alabama wanted to give him the ball 20-25 times a game or more, he has the ability to post Heisman Trophy-type numbers. Question is, will Harris get the amount of touches he needs? And if not, can be efficient with his carries to put up big numbers on a low amount of touches? Expect Harris to have a big year before making the leap to the NFL after this season. He has a chance to be one of the top running backs in college football this year. Najee Harris gets a lot of fanfare and rightfully so, but we can’t forget about his running mate Brian Robinson. Robinson (6-1, 226) is built to be a feature running back. He’s extremely physical and runs behind his pads to deliver punishment to defenders. His was fourth in line last year, getting just 63 carries for 272 yards, but he’s now a key part of the rotation. With the way Alabama has allowed its running backs to split carries over the years, Robinson should get his fair share of carries this year. If Alabama’s offensive line is able to hold up, Robinson could have a monster year. The key for Robinson will be doing things like catching the ball out of the backfield and holding up in pass protection. If Robinson can do that, he has a chance to turn a lot of heads this season as he works to emerge from Harris’ shadow. Look for Robinson to have a breakout season this year. This is tough because we just don’t know what the offense is going to look like next season under Sarkisian. But if we have to put a total on it, this will be the first time Alabama has two running backs go over 1,000 yards in the same season since 2012. Look for Harris to get anywhere from 1,250-1,400 yards and for Robinson to come in between the 1,000-1,100 mark. 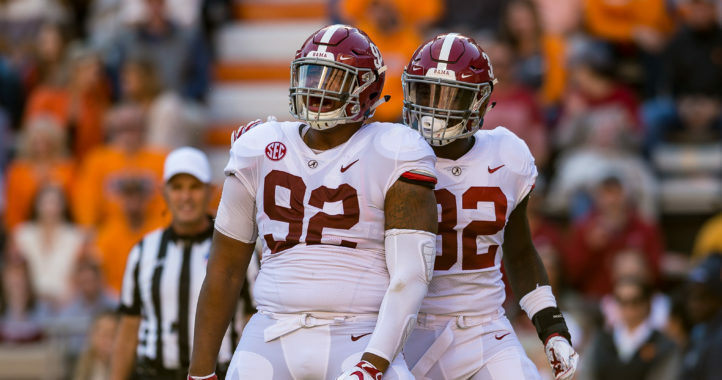 This duo is as talented as any that Alabama has had during Saban’s tenure, so those totals don’t feel far-fetched. Are we forgetting about the freshman? He is going to eat into these guys carries, especially Robinson’s. As usual, Bama will have plenty of options here. I can’t wait to see what this backfield can do but I’m more interested in Sanders. Bama has proven back in Harris and Rob but Sanders is the unknown that could bust on the scene and work his way into more of a work load than Robinson if he is as talented and capable as everyone seems to think he is. Should be a good year for the RBs. I think Sanders will be given enough touches that while the Tide probably won’t have two 1,000 yd rushers, they’ll probably have Harris with 1,000+, Robinson with something like 7-800, and Sanders with 400-500. These are some big backs, though. A team with 3 six-feet, 200 pound RBs is stomach-churning. My guess is that Sanders will be the #2 back for Bama by the end of the season and will have more carries and yards than Robinson.